Today Petchyindee is one of the most famous camps in Thailand. The state of the art gym in Bangkok Noi is home to famous Muay Thai champions like Petchmorrakot Wor Sangprapai, Petchdam Gaiyanghadao and Praewprao Muaydet789 as well as undefeated boxing world champion Knockout CPFreshmart. But success did not come overnight to this family owned Muay Thai business, which also promotes world class boxing matches. Petchyindee was founded by Virat Vachirarattanawong in 1976 and in its early days produced famous champions such as Sagat Petchyindee and Thong Petchyindee. Sagat will always be synonymous with the Street Fighter computer game character named after him but he was also a champion at both Lumpinee and Rajadamnern stadiums. Famously, he challenged Puerto Rican legend Wilfredo Gomez for the WBC 122lbs title in only his third professional boxing match, but failed in his attempt to become the fastest fighter in the sport to ever win a world championship. Petchyindee didn’t enter the promotional business in 1982 but put on some of the biggest cards during what is still considered to be the golden era of Muay Thai. Famous boxing champions like Pongsaklek Wonjongkam and Chatchai Sasakul would go on to call the camp home. Virat officially retired from promoting with an emotionally charged event at Lumpinee on December 8th, 2015. 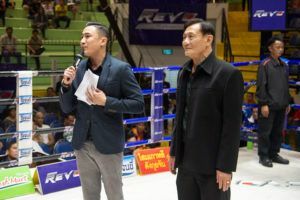 At the time it seemed that the Petchyindee name would no longer be associated with Muay Thai shows in the main stadiums, although the boxing side of the business continued regardless. That all changed on February 17th, 2013 when Virat’s son, Nuttadaj Vachirarattanawong, became the youngest ever Muay Thai promoter at Rajadamnern stadium with a new promotional vehicle entitled Petchviset. Eventually, with his father’s blessing, this promotion was renamed as Petchyindee. The most recent incarnation of the Petchyindee gym can trace its roots back to 2010. That is when Nuttadaj better known as Boat, started using the old Lumpinee Stadium as a base for his fighters to train, though that arena has long since been demolished. In its place came the brand new Petchyindee Kingdom, on the outskirts of Bangkok. 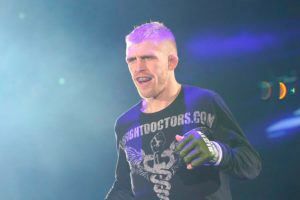 This state of the art training complex consists of three floors with accommodation for the fighters and classes for beginners and tourists alongside the more serious competitive training program. Several Petchyindee fighters have appeared on recent ONE Championship cards including Petchmorrakot and Petchdam. 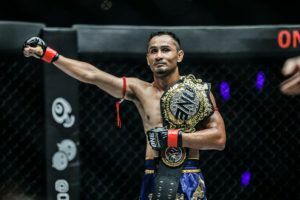 Some of the camp’s biggest stars of the decade are also working at Evolve MMA where Petchyindee alumni currently on the payroll include Nong-O Gaiyanghadao, Sam-A Gaiyanghadao and Palangpon CPFreshmart. The quest to sign up Thailand’s top talent and put on Bangkok’s biggest fight cards continues. On December 26th Petchyindee will be responsible for promoting an event to celebrate Rajadamnern’s anniversary while Knockout CPFreshmart defends his WBA 105lbs title this Thursday. 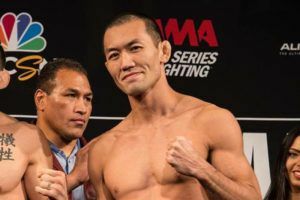 Having fighters like Sorgraw, Petchmorrakot and Petchdam fight overseas while the likes of Nong-O, Sam-A and Palangpon are working as trainers has helped to raise Petchyindee’s international profile. For Nuttadaj this is the next challenge: to establish Petchyindee as a globally recognizable brand. “All Thai people knows Petchyindee but I want Petchyindee and Muay Thai to go international. I want all the world know Petchyindee,” he said.